The first time I discovered Angus Barrett Saddlery was at the Warwick camp draft where we both had trade stands. His leatherwork is a breath of fresh air in a market that is saturated with poor quality, imported tack. Angus takes great pride in his work to the point of being fastidious. His leather is sourced at specific tanneries that Angus has personally visited which shows in the final product. He sources his leather from the same tanneries that Hermes and Louis Vuitton uses. You can instantly feel the difference in the suppleness and quality of the leather. The cheap-as-chips leather imported from India fails to compare and requires so much more upkeep than the premium leather Angus works with. 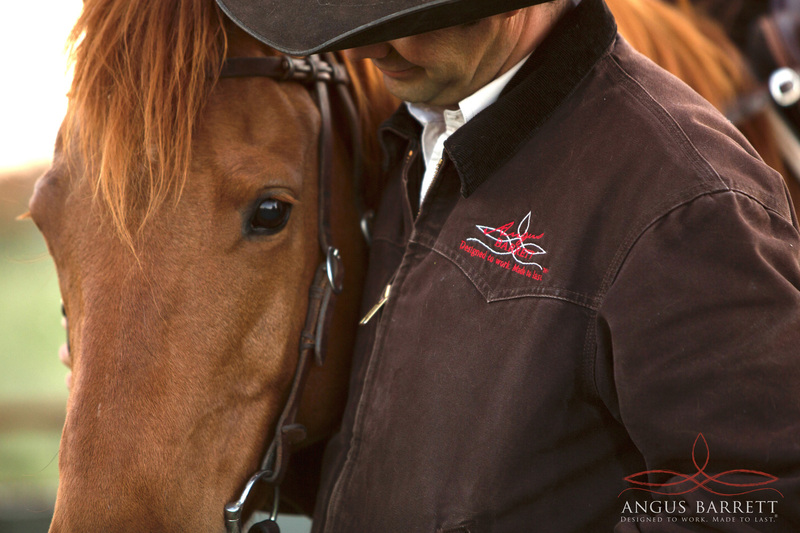 The other aspect to Angus Barrett saddlery is the iconic Australian designs like the breast plates and station bridles. Over the years Buster has gifted me these pieces and I love that my horses are adorned in these classic Australian bridles and breast plates. I’m forever receiving comments from my fellow riders. We also have Angus’s signature hobble belts – I love these and again get so many comments when travelling overseas regarding these belts. Wranglers, gauchos, baqueanos alike love that the belt can be used as a pair of hobbles. A superb gift for overseas travellers. Lastly, take a moment to watch this clip, which explains the heart and soul behind this true-blue craftsman who has a strong affinity with horses and understands the need in producing durable, well-crafted products. In my mind, Angus is one of Australia’s best and could happily hang his hat beside R.M. Williams as a trail blazer in this field. In accordance with this post, we’re giving away a Angus Barrett Tassa bridle valued at $190 to one lucky globetrotter. To enter via Facebook click here.